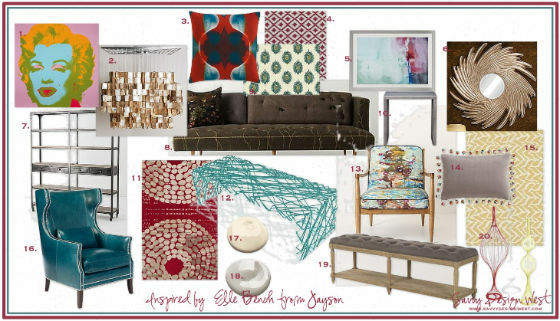 Today I’m starting a new Designer Challenge series where I ask other design bloggers to select one item from a grouping of furniture or accessories and tell us what they’d do with it. 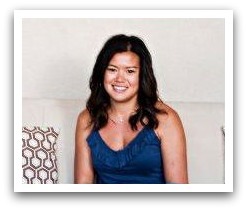 I’m so excited to introduce my first guest of this series- the very talented Tiffany from Living Savvy! Hey there! I am Tiffany from Living Savvy and I was so excited when Shauna asked me to be a part of this super fun series! She sent me three different pieces of furniture and asked what would I pick, where would I put it, and what would I put with it… Oh the possibilities were endless!! What do you think I picked? 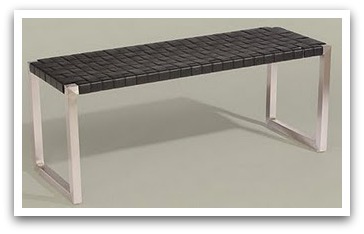 The Elle Bench from Jayson! I love the traditional turned legs and the tufting, but I also love the grey linen for a splash of modern and the shelf underneath! I thought it would best go in a sitting room in a contemporary space with concrete floors and eclectic decor. When I first thought about this room I was thinking I would love a very monochromatic color scheme. But once I started making my selections I was drawn to this raspberry and turquoise combo! It felt fun and modern next to the traditional bench. Since I had no budget I really combined a mix of high and low end. I think the space feels comfortable and energized! Thanks Shauna for having me! I loved this fun design project! Thanks Tiffany. I love the bench you chose and the eclectic mix you’ve put together. I think this room would look fabulous! What do you think? Which bench would you choose and what would you do with it? 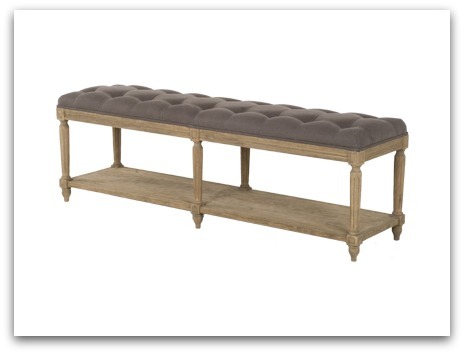 Come back tomorrow to see which bench Nancy of Marcus Design chose and what she did with it. It’s pretty fantastic! Thanks so much for having me! I loved this and want to do more! 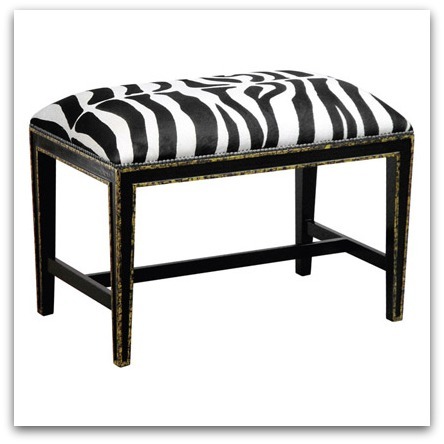 Hey girls, I love the zebra print bench. I just finished Kayley’s room and the bedding she chose was a zebra print. I painted the room a bright teal color and brought in some silver accessories for over her bed. With some modern pieces from Ikea like the desk and platform bed we created the perfect teen room. Sounds fabulous Tara! I bet Kayley is really enjoying her new space. What a fun idea for a series! Tiffany came up with a very cool, fun room built around that bench – love it.